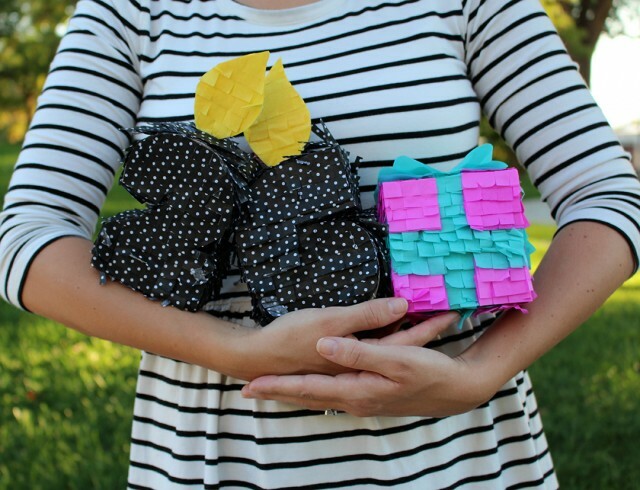 There is no way anyone in the whole world doesn’t love piñatas. Something covered in colorful fringe that’s literally bursting with treats and toys, you just can’t not love that! These mini ones are, dare I say, even a little more delightful. They’re personal sized so they’re perfect for party favors and 100% of your guests can leave happy that they were the one to break open the piñata instead of disappointed that they had to watch someone else do it because each of these guys break open right in your hands! 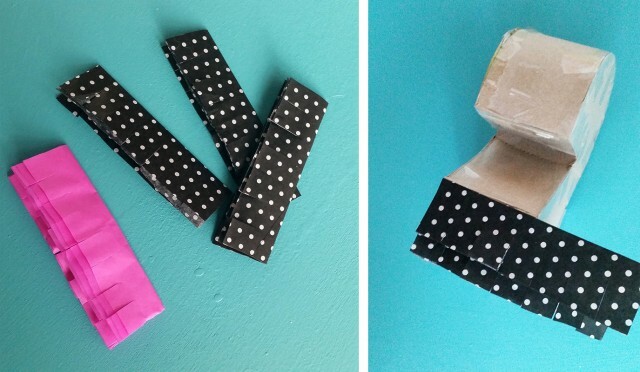 Trace your numbers onto thin cardboard, cereal boxes work perfectly, and cut them out. 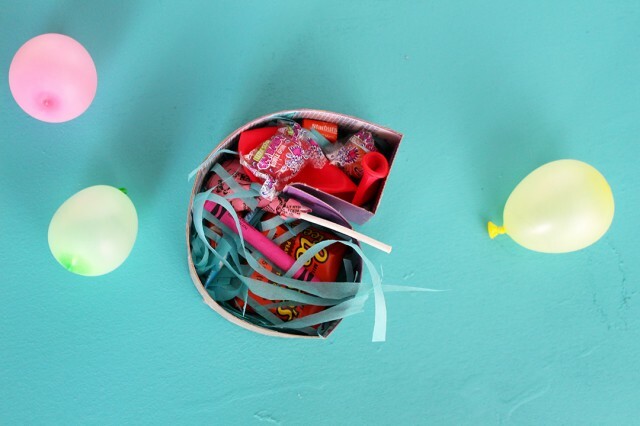 the sides and bottom of the box are the perfect size to use for the sides of your piñatas. Choose somewhere about the middle of your numbers to do your perforation. Using something small and sharp (I used a seam ripper) poke little holes in a line across your top and bottom shapes. Match the sides up to the fronts and figure out where the perforation should go to match up, then poke those holes. 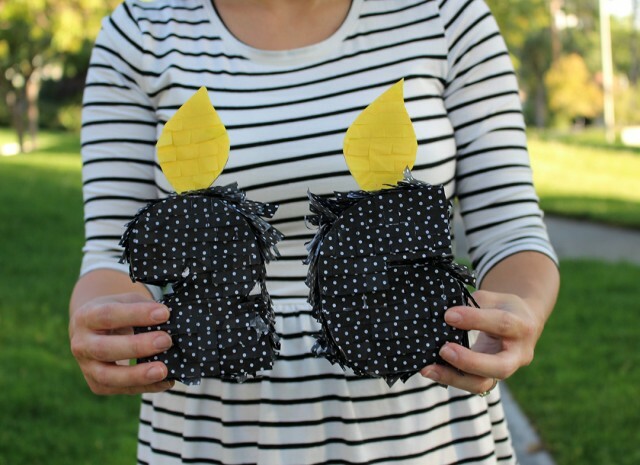 Tape the sides onto one number. 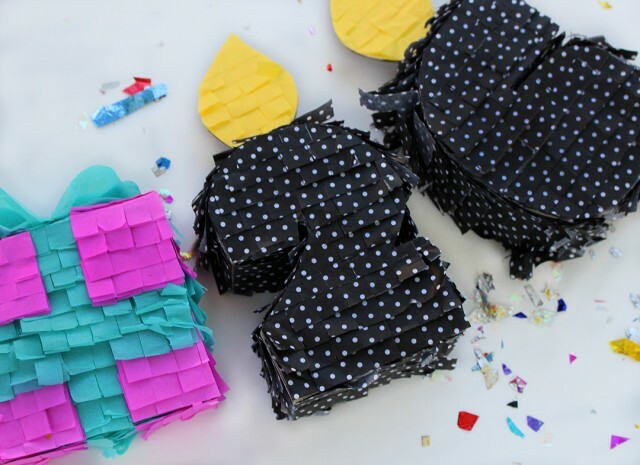 Fill your little piñatas with all sorts of goodies! 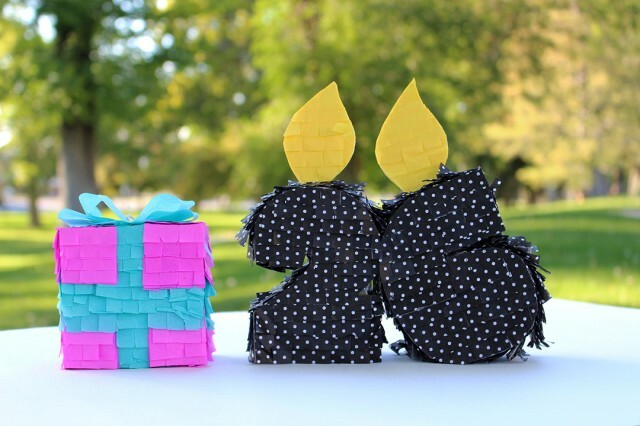 Attach the other number to close up your piñata. Remember not to apply tape over where your perforations meet. 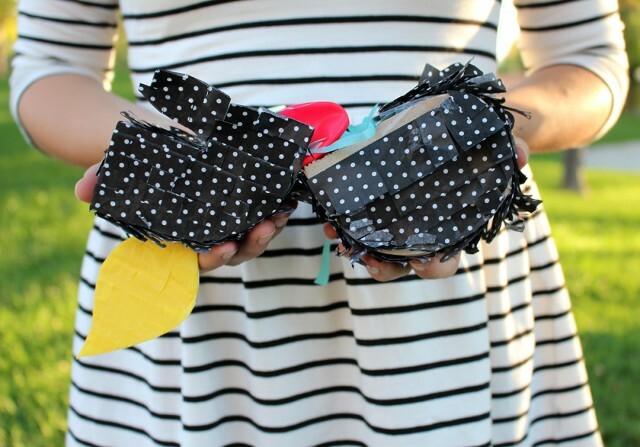 Then cut some fringe out of tissue or crepe paper and beginning at the bottom glue the fringe on layering them on top of one another, each a little higher. Trim around when done. 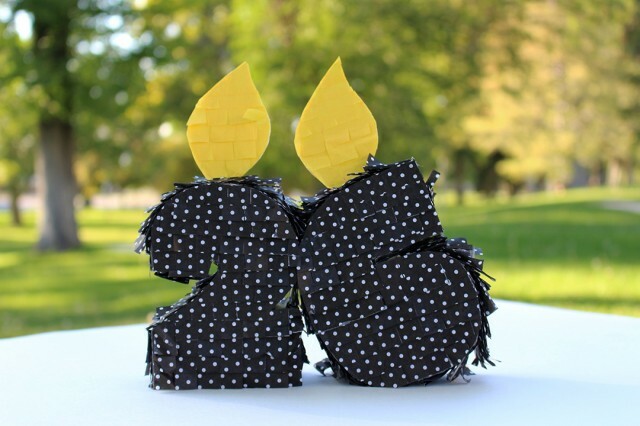 For the flames, I just cut the shape on to normal thickness cardboard, layered on yellow tissue paper and then hot glued them on to the tops of the numbers. Instruct your guests to hold them on each side and then bend downward, they should rip right open along your perforation to reveal the wonderment within!